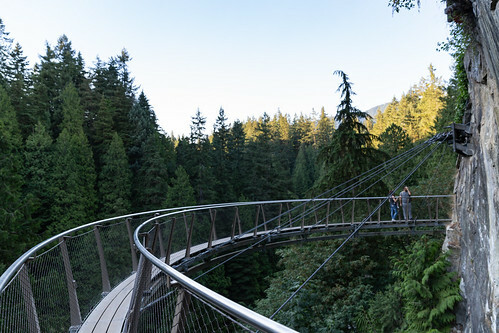 Capilano Suspension Bridge Park attracts about 800,000 visitors every year. 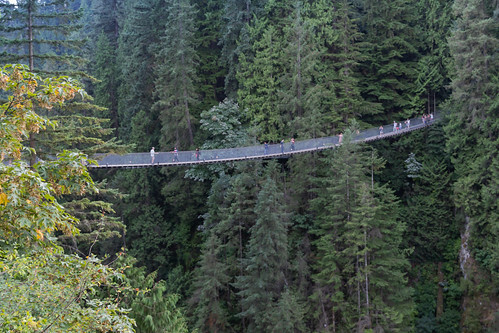 The main attraction is a 'people only' 446 foot long foot bridge suspended a dizzying 230 feet above the Capilano River. 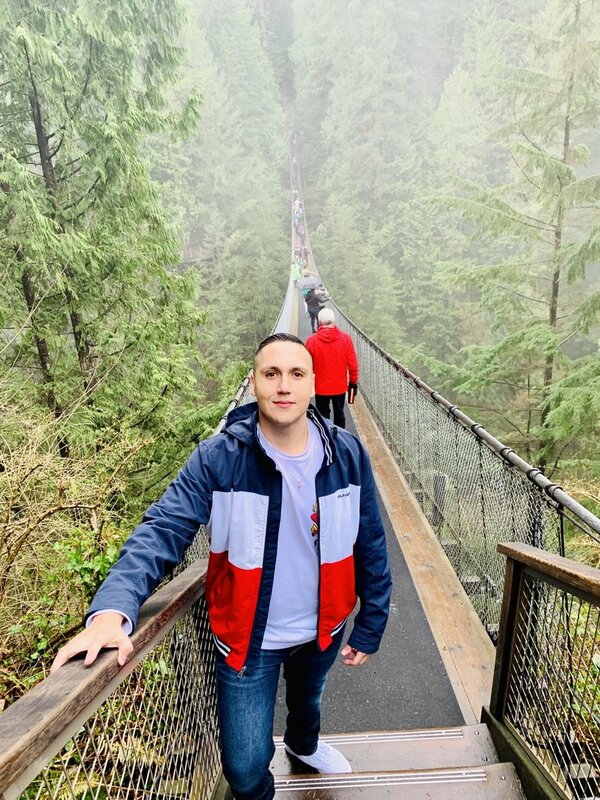 The original bridge was built in 1889 by Scottish engineer and parks commissioner George Grant Mackay using hemp rope and cedar planks providing access to his remote cabin. 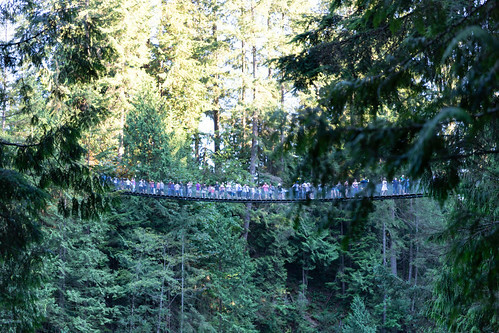 In 1903 the suspension bridge was reconstructed using more robust wire cable and in 1956 it was rebuilt again. 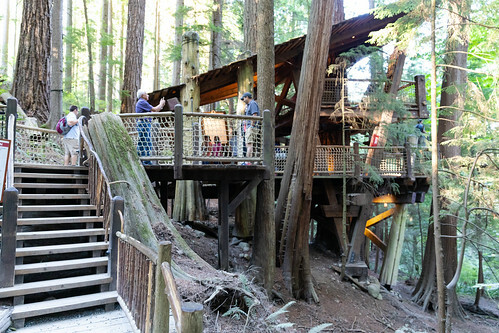 The current owner (since 1983) added the Treetops Adventures attraction - a series of seven footbridges suspended between large Douglas Fir trees. 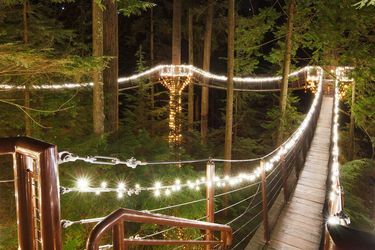 The footbridges offer visitors the unique perspective of viewing the forest from up in the trees. 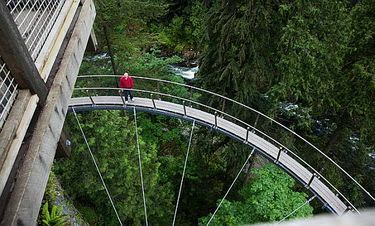 In 2011 Cliffwalk, a thrilling series of walkways and platforms cantilevered out from the canyon's granite cliffs opened. 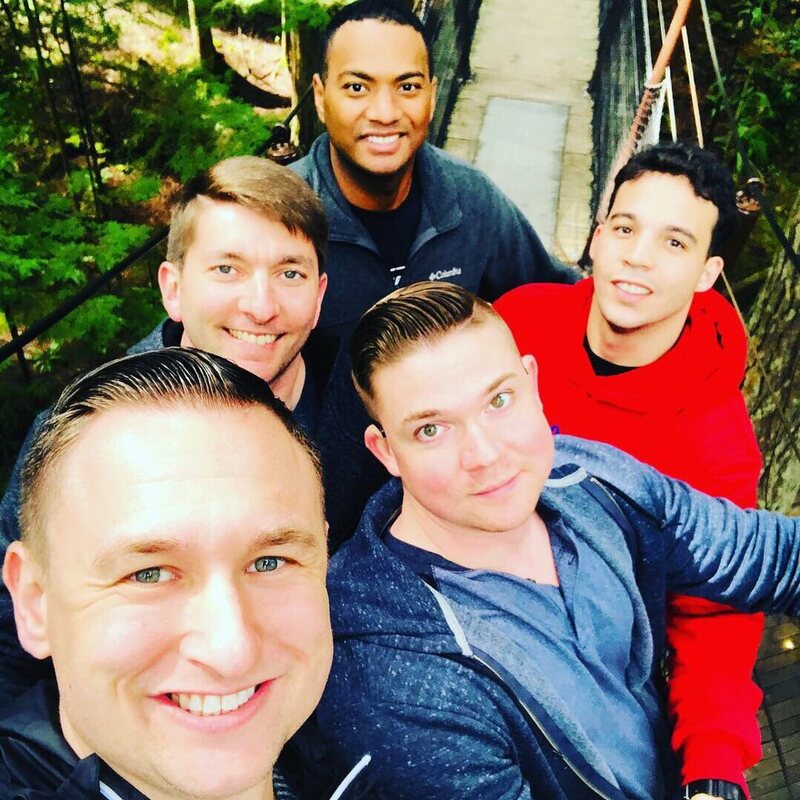 Definitely not for the faint of heart! 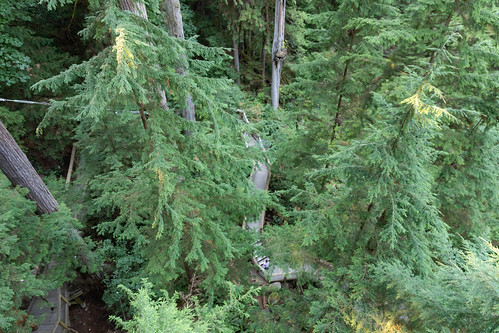 Park guests can also view nature trails, gardens and totem poles. 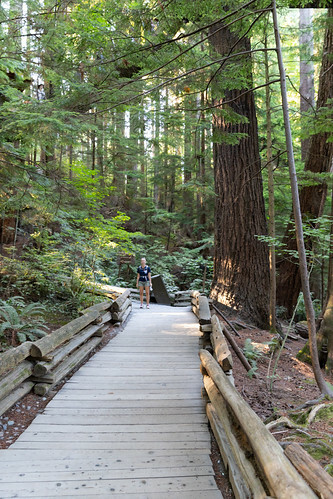 All told, the park offers visitors a great way to experience the rugged nature of the West Coast. You'll definitely want to visit the park in December. 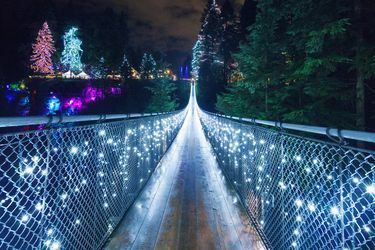 Hundreds of thousands of colorful lights and floodlights transform the park with a dazzling holiday display. 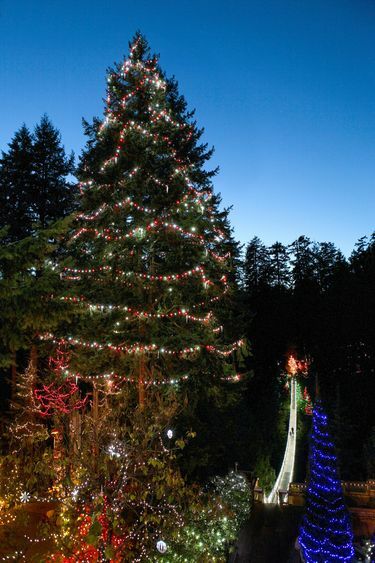 You'll also witness the tallest live Christmas tree in the world! This is a great way to get into the festive spirit. 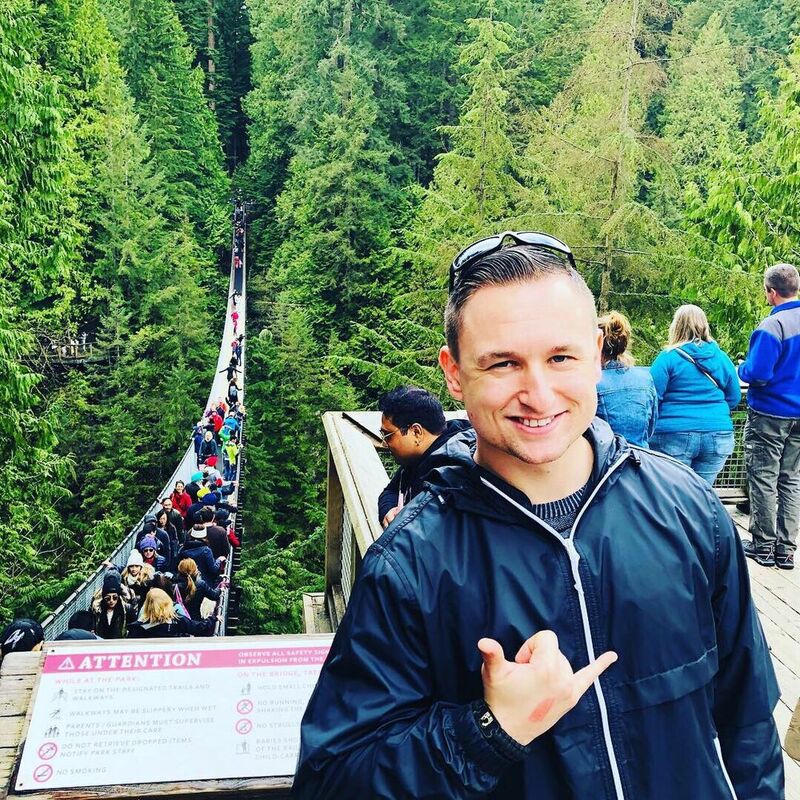 A portion of the proceeds help the BC Professional Fire Fighter’s Burn Fund. 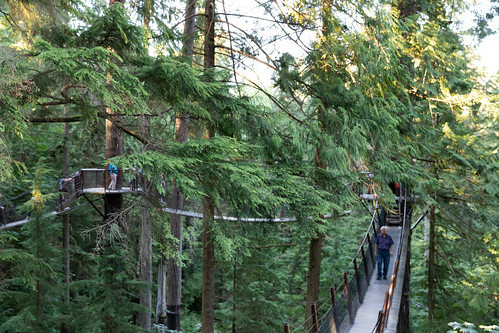 The park is easy access by public transit, but they also provide guests a convenient year-round free shuttle bus service that makes scheduled pick-ups at numerous downtown Vancouver locations throughout the day. 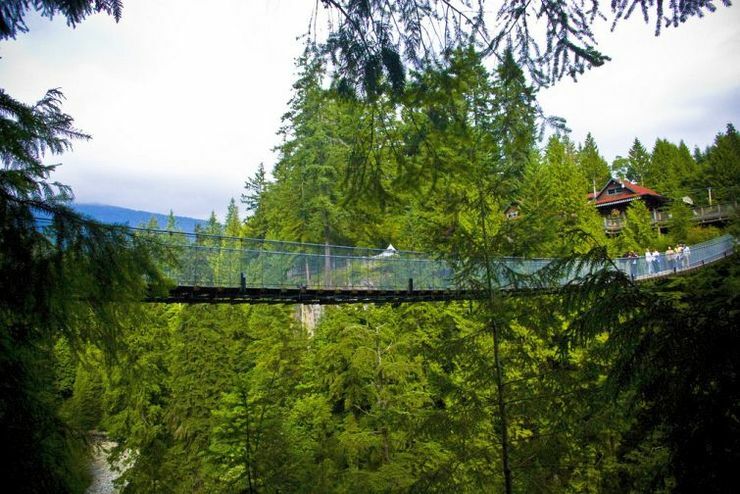 Capilano Suspension Bridge is a privately owned attraction and admission charges do apply. 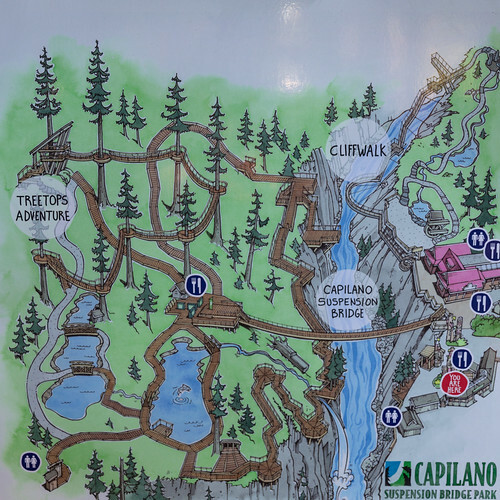 The park is open every day except Christmas. Hours of operation vary through the year, so please see their official website for details. 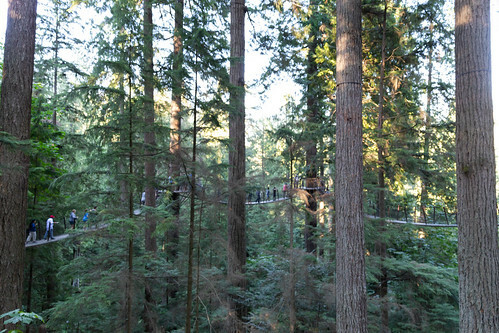 You can also take advantage of a free shuttle bus between Downtown Vancouver and the park. For details refer to the link in the above article.